I have listed below my top three choices, in no particular order, with a few details about what you can find behind the covers, why you should buy them and where you can get them from – please enjoy! Planning Your Smallholding – Liz covers the financial planning, location of your farm, how much land you need, what type of land you need, running a wildlife friendly farm, what machinery you will need, how to find your smallholding and all the complicated legal requirements too! Growing Food – this book touches upon growing your own fruit and veg, crop rotation, soil nutrition and compost making. It also covers growing food, fodder crops, grass and hay for your own animals. Livestock Ownership – an in-depth 70-page section of this manual is dedicated to keeping livestock. The section covers choosing your species and breeds, what to look for when buying your first animals, how to show your animals and even what to do when it comes to slaughter and how to sell your produce. What Animals Are Covered in the Book? – Can I Have a Look Inside? Alright, here is a quick sneak peek… As you can see the instructions are simple yet detailed and the images are clear, which is exactly why I love this book. You can see further page previews on the Amazon listing. – What Makes This Book Different? The easy to follow, step by step instructions on how to complete tasks such as erecting stock fencing and condition scoring your sheep really are helpful. There is also a section on showing your animals, which a lot of the smallholder books fail to cover, even though this is a past time enjoyed by most of the smallholders I know. Finally, this is the only book I have come across to include alpacas and llamas, which are becoming increasingly popular amongst smallholders and it even has a section on the more unusual stock such as ostriches, wild boar, rheas and water buffalo. – In Summary, Why Should I Buy This Book? If you start smallholding you will use this book as your go-to manual in life, I am often found head buried in the index pages of this manual whenever I come up against something new, or a problem. Because everything in this book is described in such a simple and practical way, it gives you confidence to tackle the many, many hurdles that smallholders come up against. – Ok, I am convinced. Now where do I buy it and how much will it cost me? I bought mine directly from Liz herself, after attending a Smallholding course at Kate Humble’s farm – ‘Humble By Nature’. I would definitely recommend this if you can, if however you cannot make it, then the next best thing of course would be to purchase it online. The RRP is £22.99 but I found it for £13.65 on Amazon. Ways To Enjoy the ‘Good Life’ – Jimmy talks about the practical considerations of how to ‘grow your own’; including small-scale production, allotments, back garden produce, renting land or buying your own farm. Growing Your Own – unlike the other books in this post, Jimmy really goes into detail on how to grow your own fruit, vegetables, salads and herbs. He also mentions composting and unusual varieties not often considered such as Kohl Rabi and Salsify. Raising Livestock – this book probably has the least detail on each breed of animal available but the benefits, problems and produce sections available on each species are invaluable. 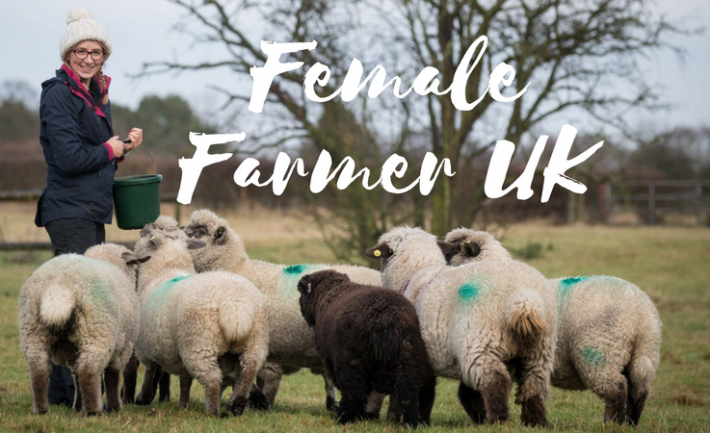 They make it easy to decide what animals you are realistically going to be able to have on your smallholding and how you can earn money from them. Recipes for Your Produce – although this is certainly not A Taste of the Country recipe book, which is another Jimmy book worth getting, there are a few recipes that allow you to put your home-grown produce to good use, which I believe is an important part of living the ‘Good Life’. There are previews of the first few pages available on the Amazon listing. I haven’t come across a smallholder’s book that includes a section of recipes to make the best of what you have produced on your farm and I think that makes a great addition so you truly can ‘live off the land’. The fruit, veg and herb section also rivals that of the other two books in this list as they seem to be wholly livestock focused. This book will help you plan your smallholding in a business minded way, rather than getting sidetracked by pictures of cute animals (though there are plenty of those! ), there are very practical considerations mentioned throughout the book from finding your land to choosing the breeds and species most suited to you and your farm. Considerations Before You Get Started – Suzie talks in depth about things you need to bear in mind before starting your smallholding such as fencing, cultivating the land, the realities of owning a smallholding, how much land/buildings you need and what machinery/tools you should have. Keeping Animals – firstly Suzie discusses the legalities of owning livestock. She then details the housing, breeding, cleaning, feeding, transporting, rearing and slaughter requirements of each species, as well as the different breeds available and how to care for them daily and in times of illness. The Amazon listing has examples of a few inside pages but to really appreciate the appeal of this book it has to be a first hand experience. The book is printed in full colour, with beautiful images of the animals, machinery and Suzie’s farm throughout the book. You can really feel the love Suzie has for her farm in her words and even if I wasn’t planning to own a smallholding I would enjoy reading through this lovely book. Suzie eases you into the world of smallholding and answers all of the questions you were worried about asking. Her book makes you feel comfortable and confident in your abilities. The book is written in a humourous and honest way that paints a true picture of what smallholding is really like. I bought mine new, way back in 2015 when Muddy Boots was just a dream. It was from Amazon and it will now cost you less than £15. I hope this post perhaps encourages a few of you smallholder wannabes to take the next step, which in my experience is learning about what exactly is the next step! Even if you think your dream farm is years and years away, it really never is too early to start dreaming and planning. I bought most of my books two years before I even had an idea of how I was going to start my farm, which just proves that if you work hard enough dreams do become reality. These are great! I actually just returned The Smallholder’s Handbook to the library too! It was fantastically informational. Thank you for doing this. My wife and I are in the early stages of planning for a life in the fields and need a decent starting point. We are HEAVY on the planning!